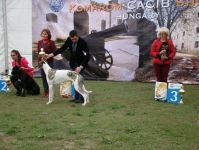 Heartbreaker Fantazja Szpic-Moll champion class RC. CACIB. CAC 6.5 years Old. BLACK BIS Fantazja Szpic-Moll CACIB. RC. CACIB. BOŚ. Thank you very much Anna and Krzysztof Jedut.Thank you to Zosia Jedut. 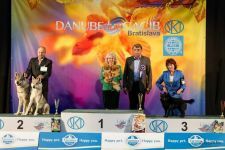 Pomponia Fantazja Szpic-Moll champion klass CAC. 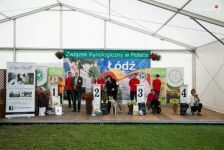 Pomponiusz Fantazja Szpic-Moll PUPPY Klass BIS I. 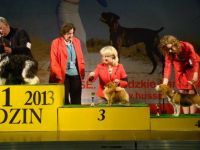 BLACK BIS Fantazja Szpic-Moll New Champion RKF . Thank you Anna and Krzysztof Jedut for your professional work. 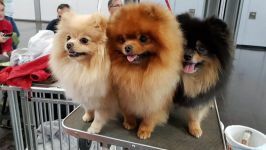 My dogs got many New CHAMPION titles. 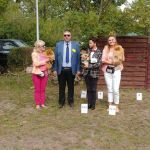 Thank you very much to the judge Mr.Igoris Zizevske Lt.46 pomeranianas. 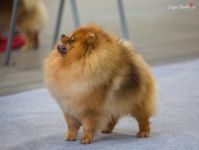 NEW GRAND CHAMPION IN POLAND. POMPONIUSZ FantazjaSzpic-Moll Minor Puppy BOB. THE CARMEN FantazjaSzpic-Moll C.I.B Best weteran . 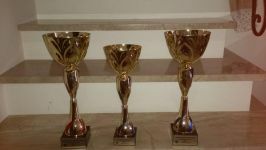 Nowy Interchampion .Nowy Grand Champion Polski . THE CARMEN Fantazja Szpic-Moll Najlepszy weteran w rasie. He is 4 months 1 Day old.His 1st show. Crema of the Cream FantazjaSzpic-Moll Open class 2nd. Pogrom Fantazja Szpic- Moll excellent. 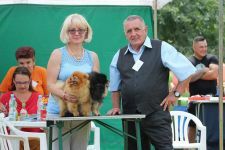 Thank you very very much to the judge Mrs.Ewa Górska . 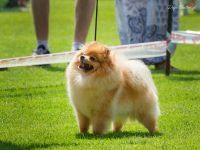 DIAMANTINA Fantazja Szpic-Moll JChPl.CHPl.champuon class 4 years old. - CAC Wroclaw for VGr .BOS .CAC. We did not stay for final competition. Thank you Mrs.Ola Kowol for photos. Madam Pompadour int.class 2/2 excellent. Machete Fantazja Szpic-Moll 2.4 junior. 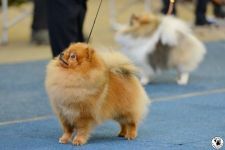 BLACK BIS FantazjaSzpic-Moll CAC 1st champion class. Hobby Maryden Mirra Della - CAC. POGROM Fantazja Szpic-Moll intermediate .CAC.CACIB.BOB. LA FIESTA Fantazja Szpic-Moll champion class .CAC.Rc.CACIB. POGROM Fantazja Szpic-Moll itermediate CAC. LA FIESTA FAntazja Szpic-Moll CAC.CACIB.BOS. 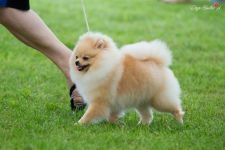 CREAM OF THE CREAM Fantazja Szpic-Moll puppy class . 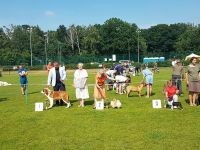 06.08.2017 - BIS PUPY I. 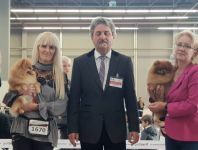 Thank you very much to the judge Mariola Semik . Harry has colected till now 10 CACIB . CAMEA Fantazja Szpic-moll very promising. Hobby Maryden Amanda Rosato - CAC - Amanda jest juś CHAMPION POLSKI . IRON LADY Fantazja Szpic-Moll -wybitnie obiecująca . 22.09.2012 Bydgoszcz Klubowa Wystawa Szpiców i Psów Ras Pierwotnych . 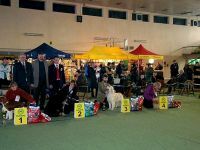 11-12.02.2012 International dog show in Rzeszów .